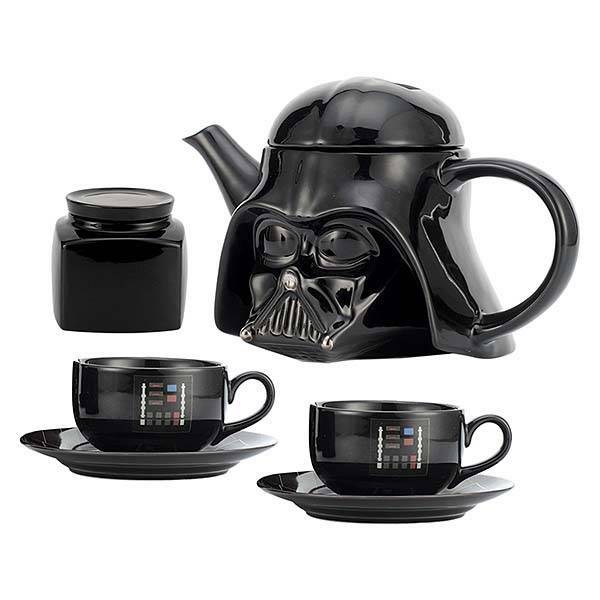 The Star Wars Darth Vader teapot set has been ready to serve every faithful fan of Galactic Empire. Like the design? Let’s continue checking. Similar with the Death Star teapot and mug, this is an officially licensed and eye-catching ceramic teapot set themed by Star Wars. The teapot set contains three units including a teapot, two tea cups, two saucers and a sugar jar. As shown in the images, all the units are designed based on Darth Vader, one of the most symbolic characters from the universe of Star Wars. The teapot looks like Darth Vader’s helmet, which features exquisite contours and meticulous detailing, but the newly added spout and handle let you easily pour out your favorite tea. 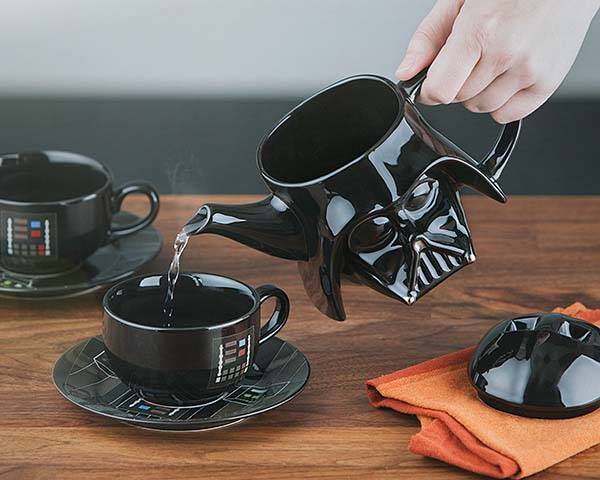 The two teacups also feature solid black appearance design, and the symbolic pattern from Darth Vader’s chestplate shows off the power of the black knight, while the saucers also sport the design from original Darth Vader’s armor in order to perfectly match other ceramic units in the set. The teapot measures 9″ wide by 5-1/2″ tall by 6″ deep, and the teacups are is 3-3/4″ diameter by 2-1/4″ tall, while the saucers measure 6″ diameter. In addition, a black sugar jar holds cube sugar for easy access. 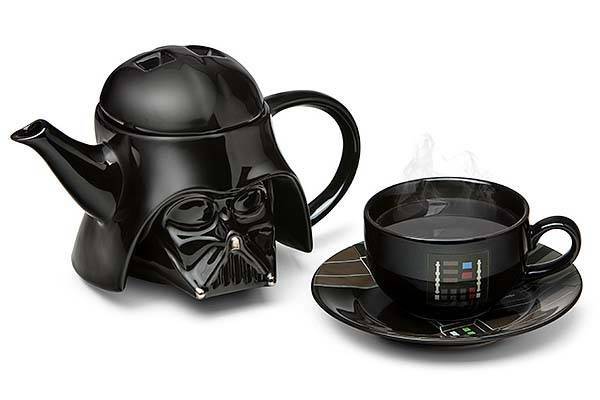 The Star Wars Darth Vader teapot set is priced at $59.99 USD. If you’re interested, jump to ThinkGeek for its more details.